Allow your customers to maintain multiple grocery lists and easily re-order items of their choice. A must-have for stores that sell everyday goods, household and similar merchandise. 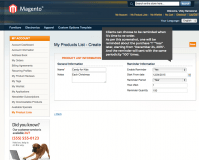 Why Use Magento Recurring Orders extension? 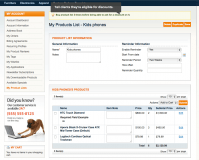 Allow clients to easily make recurring purchases. Let shoppers share useful lists (e.g., baby products) with others. Easily give discounts to people who buy on a regular basis. There are hundreds of everyday consumer goods buyers order on a regular basis. Allow them to activate a list of recurring purchases and you will save their time spent browsing and adding items to cart. This provides for a greater convenience, also contributing to customer retention and loyalty. By implementing the recurring order option at stores, Magento retailers unlock a steady, predictable revenue stream driven by regular customers. As a result, profits vary less and the cash flow becomes more stable and manageable, which fosters further business growth. Recurring orders require less efforts to attend online shoppers. Once you acquired a new customer and turned them into a regular one, they will be able to get repetitive purchases by their own without your assistance, reducing the amount of time and so costs of customer service activities. 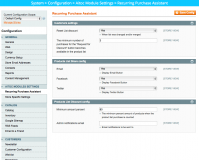 Maintain multiple lists of recurring purchases. Easily save products from cart to a grocery list. Add your entire grocery list to cart in a click. Share your list via email, Facebook or Twitter. Receive a reminder when it is time to re-order. 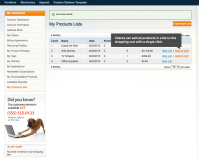 Manage customers grocery lists from the admin panel. Remind customers when it is time to re-order. Set up one-time or recurring email reminders about upcoming purchases. Include a convenient link to a cart-full of items with that reminder. Get the info about the number of purchases for each list. Create discount conditions suitable for corporate clients. Export & Import Orders Magento extension – Quickly transfer orders between different versions of Magento without any data loss or damage. Import and export order records from/to any third-party platforms in XML and CSV formats. Preorder & Backorder plugin for Magento – Allow your customers to place orders for soon-to-arrive items and get paid for them in advance. Automatically send email alerts to let your buyers know the products they are interested in are back in stock. Magento Change Order Number Prefix module – Adjust your Magento document numbering practice to your specific business workflows by setting up custom ID numbers for orders, shipping documents, invoices and credit memos. 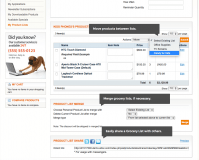 Admin Order Grid extension for Magento – Get a complete view of all orders to improve order management at your store. Filter order records by product name or SKU and view order-related information right on a single order list page in your Magento admin panel. * Corrected the text for the discount feature. + The extension is compatible with Magento CE 1.9.3.0 / SUPEE-8788. + The extension is compatible with Magento CE 1.9.2.4 / SUPEE-7405 v1.1. 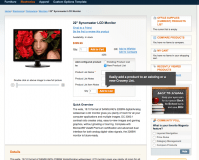 * Issue with the discount not applied in cart except General customer group is fixed. * Calendar date separators validation issue is fixed. * Incorrect subtotal issue upon adding item to list is fixed. * Design issues are fixed. + Compatible with Magento 1.9.0.1. * Crash when try add a product list to shopping cart is fixed. + Compatible with Magento 1.6.2.0. * Compatibility issue with Shopping Cart Editor is fixed and few other tweaks are made. Simple and useful. I use this Magento module. A big thanks to the AITOC guys!